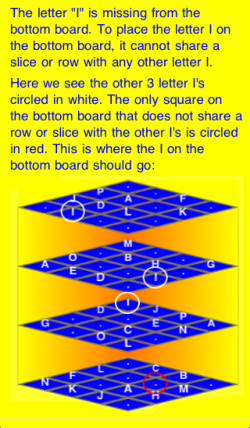 BrainCube is played in a cube of 64 squares using the letters A-P. 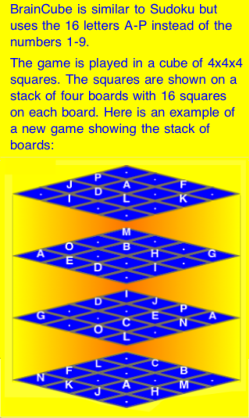 The cube has a stack of four boards with 16 squares on each board. 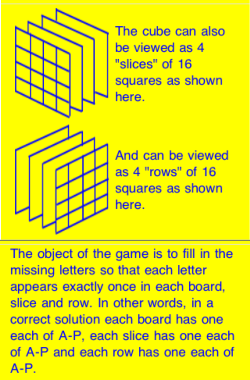 The object of the game is to fill in the missing letters so that each board has one of each letter A-P and each 16-square "slice" of the cube from front to back and each 16-square "row" from right to left also have one each of the letters A-P. The white letters are set by BrainCube and cannot be changed. Select a square by tapping it. 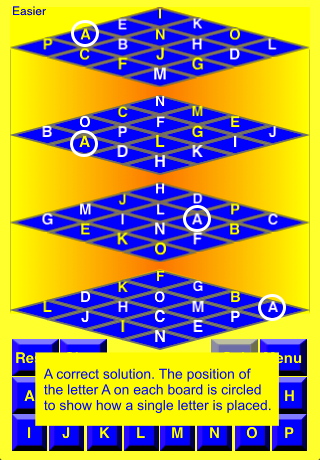 With a square selected, tap a letter to set the square to that letter. 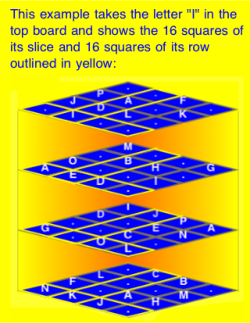 Letters you place are shown in yellow. The Reset button will reset the screen to the original puzzle. The Clear button will clear a letter. 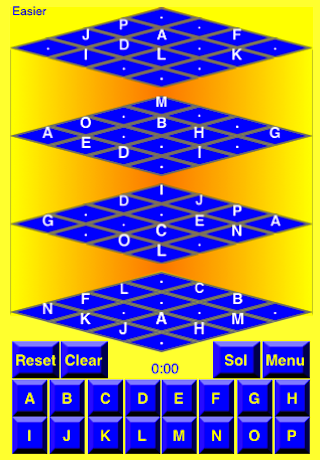 The Sol button will display the solution and when tapped again, will return to the game. The Menu button will return to the menu. You can start a new game or resume your game from there. To view the cube from a different angle, swipe left or right.